Disposable Endotracheal Tube with suction tube is used to keep a long time unimpeded breath way for patients in operation. Compared with ordinary endotracheal tube, except a cuff near the murphy eye, there is an extra suction tube which could be used to help patients clear the tracheal secretion so that reduce the risk of pulmonary infection effectively. The cuff near the murphy eye could help to avoid the tube be pulled out after insertion. Do you have any questions about our Endotracheal tubes with suction tube or other requirements? Please do not hesitate to contact with our customer service directly through live chat, telephone or email. We will happy to advise you. Looking for ideal Endotracheal Tube with Suction Tube Manufacturer & supplier ? We have a wide selection at great prices to help you get creative. All the Endotracheal Tube with Cuff are quality guaranteed. 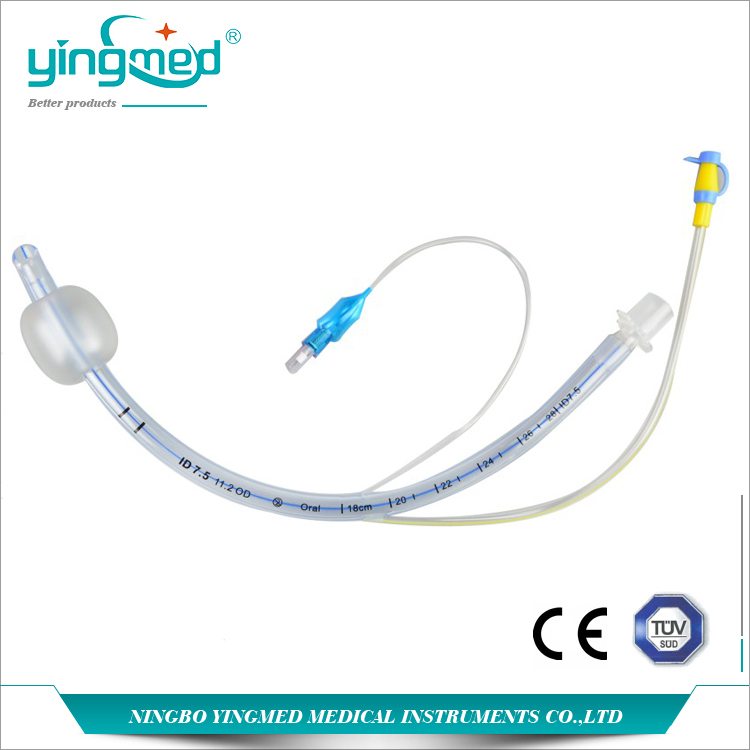 We are China Origin Factory of Endotracheal Tube with Suction Catheter. If you have any question, please feel free to contact us.